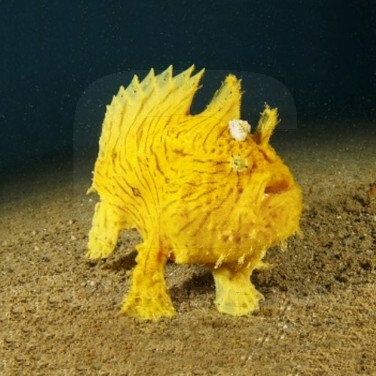 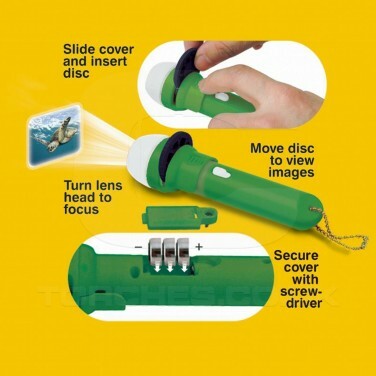 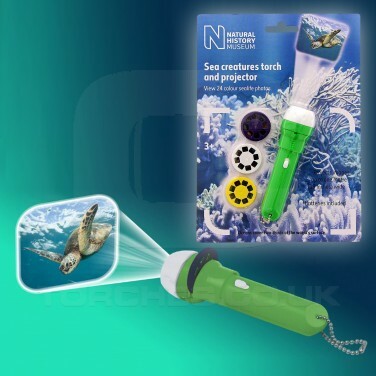 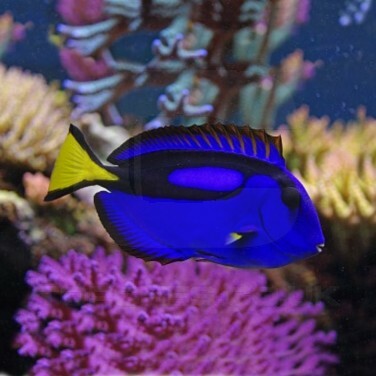 Reveal the mysteries of the deep and view 24 stunning colour images of sea life creatures with this pocket sized projector torch. 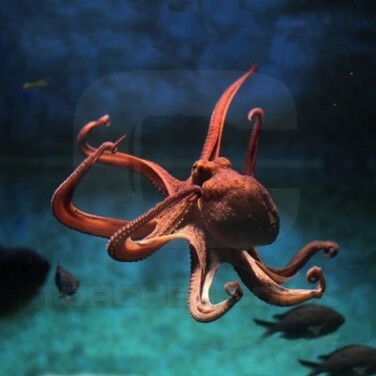 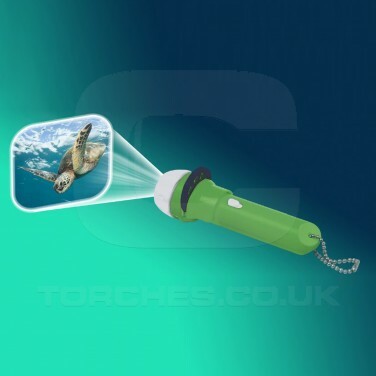 Three slides are packed with fascinating images of sea creatures showing the diversity of life in our oceans from the stunning orca to the graceful manta ray and more, sea life enthusiasts will adore this projection torch. 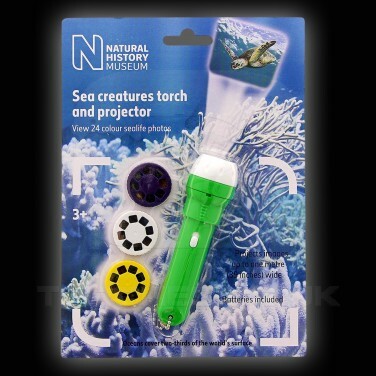 Lit with a white LED, when you're not projecting images, you can light your way with white light.